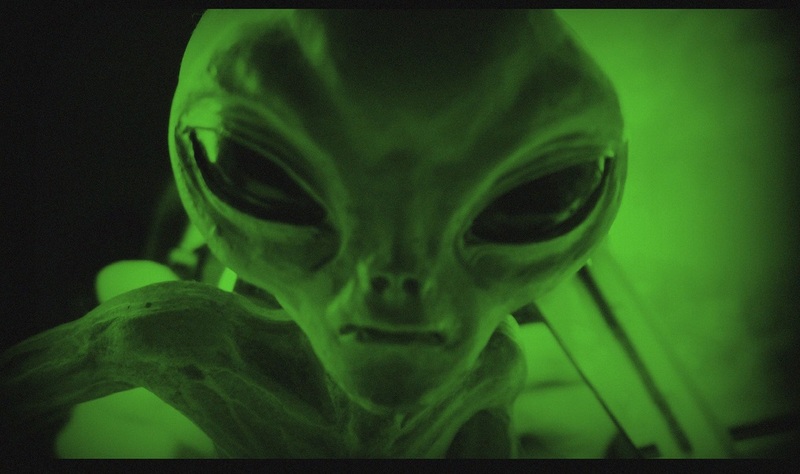 ERIC’S TECH TALK: Where are all the aliens? Where is everybody? That’s the question posed by Italian physicist and Nobel Prize winner Enrico Fermi in 1950 over a casual lunch with his fellow physicists at the famous Los Alamos National Laboratory, in New Mexico. To understand Fermi’s question and why he’s asking it, we must first review a bit of background on Earth’s own rocky road to life. The earth formed, scientists tell us, about 4.5 billion years ago, 9 billion years after the Big Bang. From a cosmological standpoint, the earth is a bit of a late-bloomer. After forming, Earth was a hot ball of glowing, molten rock – much too hot for life – for nearly half a billion years, but eventually the surface cooled enough for the first oceans to form. Now the stage was set for life, but once conditions were favorable, how long did it take for life to develop on the new planet? The answer, surprisingly, is not very long. According to some estimates, it may have been as few as a hundred million years after the earth cooled. That is, from the perspective of the Universe, hardly any time at all, just a geological blink of the cosmic eye. Assuming this is true of life across the universe and not simply a cosmic fluke when it comes to Earth, we would expect star systems which formed much earlier than our own to have developed life billions of years before ours did. Add to this the understanding that it has taken our species less than half a million years to go from tree-dwelling primates to radio-broadcasting prima donnas and it suggests that any civilization with as little as a million-year head start on us would have spread across half the galaxy before we had even crawled out of the trees. So, where are all the aliens? This question has perplexed scientists for more than half a century and is known as the Fermi Paradox. This creates a bit of a quandary for those seeking for intelligent life out beyond our solar system. On one hand, life appeared on Earth very early in its history – almost immediately, once conditions were right – so we would expect life to have appeared elsewhere in the universe as expeditiously as it did here on Earth. Since there are many stars much older than our sun, it only makes sense that life would pop up in many parts of the universe long before it did here on Earth. On the other hand, it’s hard to get past the fact that we haven’t yet found any signs of life – not a smidge, smudge or random radio signal beamed out from Alpha Centauri. Nothing. Nada. Zilch. There must be something wrong with this picture. Maybe, goes the thinking of some scientists, our assumption that life appeared very quickly here on Earth is wrong simply because the underlying assumption that life originated on Earth is wrong. In other words, maybe life didn’t originate on Earth at all. Maybe it came from somewhere else. This idea is called the Panspermia Theory for the origin of life. The theory posits that life originated elsewhere in the universe and traveled here early in Earth’s history by way of an interstellar asteroid or meteor. Some scientists have even speculated that the impact resulting in the formation of our moon also brought with it the first microbes, seeding Earth with the life that would eventually evolve into you and me. Where, though, did it come from? With a hundred billion stars in the observable universe, there’s a lot of places to choose from, but there is one very real possibility closer to home. I’m speaking of Mars, the fourth planet from the sun, named for the Roman god of war. Mars is a little older than the earth at about 4.6 billion years, and although both planets began as fiery balls of molten rock, because Mars is located further from the sun and is only half the size of the earth, it cooled much faster. Scientists believe the now-dead planet was once covered with water and had a very temperate climate sometime in the distant past. The famous “canals” of Mars were not made by little green men, but carved by liquid water flowing across its surface. When the fires of Mars’ molten core began to die, more than 4 billion years ago, the planet lost its atmosphere and was eventually freeze-dried by the relentless solar winds. At that point, any life it had either died or retreated far beneath the planet’s surface. What this all means is that conditions were right for life on Mars hundreds of millions of years before conditions were right for it here on Earth. If we are willing to accept that life sprung up on Earth in a very short time (geologically-speaking), then couldn’t the same also be true of Mars? If that is correct, then life could have appeared on Mars while Earth was still a smoldering hellscape. And if we grant these two suppositions, it is a small leap to think that the life we see on Earth actually originated first on Mars and traveled here early in our history. 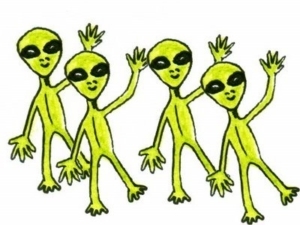 Are we all originally Martians? It’s an intriguing possibility, and it’s a question to which we may soon have an answer. NASA’s InSight lander touched down on Mars just last month. They recently released the first recordings of a Martian wind rippling across the dusty planet, and the space agency currently has plans for a manned mission to Mars sometime in the 2030s. Once soil samples are brought back for analysis, we may finally be able to determine whether our conjecture of past life on Mars is true. It might also tell us whether that past life bears any resemblance to the life we find on Earth. So, the next time you’re looking up at the night sky, admiring the cosmic majesty allowed by Maine’s clear view of the stars, give a little wave. Someone, somewhere may be looking back at you and giving a little wave of their own. They might even be your distant relative. Eric W. Austin writes about technology and community issues. He can be reached by email at ericwaustin@gmail.com. ERIC’S TECH TALK: Russia hacked our election. This is how they did it. ERIC’S TECH TALK – The A.I. Singularity: Are you ready? ERIC’S TECH TALK: On the internet, the product being sold is you! http://townline.org/wp-content/uploads/2016/06/TownLineBanner-1030x206.jpg 0 0 Eric W. Austin http://townline.org/wp-content/uploads/2016/06/TownLineBanner-1030x206.jpg Eric W. Austin2019-01-30 13:42:422019-01-30 21:21:40ERIC'S TECH TALK: Where are all the aliens?